I consider myself an avid reader. I usually have an audio book that I listen to on the way home from work and normally I’m reading another book simultaneously on my Kindle. I read a lot of fiction. So from time to time I try to work in some non-fiction. After all, it never hurts to learn a few things along the way. One of the best biographies that I’ve read was Catherine the Great: Portrait of a Woman. 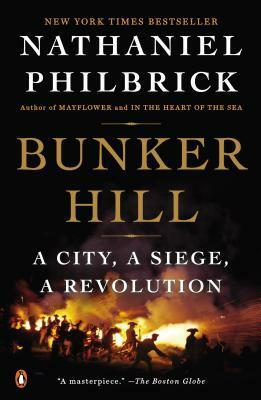 For the last three weeks I’ve been trying to read Bunker Hill: A City, a Siege, a Revolution. To be very honest, I’m having a difficult time. It’s not boring, but I find my mind drifting to other things. The characters in my audiobook, (I’ve been listening to Stephen King’s Gunslinger series), Candy Crush Saga, crochet patterns,…………. I must say I’m very disappointed with myself. I envisioned myself to be a little more scholarly than that. Maybe because it’s about the events that occurred during that period rather than a particular person, but I’m having a hard time getting through it. I find some of the figures described in this book a little disappointing. Mainly Samuel Adams and John Hancock. Just before the opening shots of the American Revolution on the Lexington Battle Green, John Hancock made his way there. He had been living there for the last few weeks. 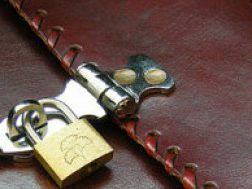 He made his way back to the parsonage and began sharpening his sword. He spoke as if he intended to join the militiamen. Samuel Adams told him, according to Hancock’s fiancée, “that is not our business; we belong to the cabinet.” John Hancock agreed that they must “withdraw to some distant part of town,” It’s not that they were “bad” people. But it seems they were much more opportunistic than freedom fighters. I borrowed this e-book from the library for 21 days. That period ended this past Sunday. At first I thought, “So what. I just won’t finish it.” Then I thought, “I’ll just purchase it and read it at my leisure.” But why should I pay for a book that I can’t get into and probably won’t read again. So instead I checked it out from the library for another 21 days. I think I began to lose interest in the book when I realized that as human beings we really haven’t come that far. I guess when we look back in history at these figures we romanticize them and gloss over their faults. As time passes and the stories are told, they become larger than life and infallible. Then as now, the movers and shakers were concerned more with how the events of the time affected them financially. The laborers, the farmers, the men working for a living, they were the true heroes of the time. Then, as now, the lower class were moved to the front of the line to fight the battle, while the wealthy moved to higher ground. I’m going to finish the book. I’m proud of my heritage. I had a great-great-(however many) grandfather that fought in the Revolutionary War and a lesser great grandfather that died at the Battle of Shiloh during the American Civil War. It hard to realize that you forefathers were mere mortal men.